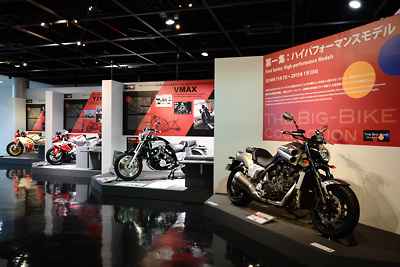 The Big-bike Collection – First Series: High-performance Models - Communication Plaza | Yamaha Motor Co., Ltd. In 1955, Yamaha Motor released the YA-1, its first motorcycle and a model that featured beautiful styling as well as light, agile performance. 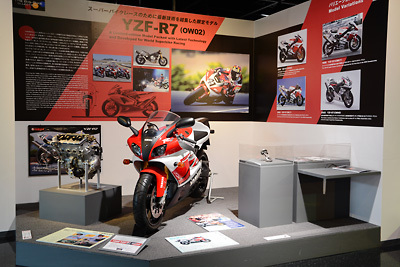 Yamaha began developing sport models and promoting their wider use earlier than other Japanese manufacturers, and would later continue challenging itself by introducing new concepts, technologies and designs into its Monozukuri. 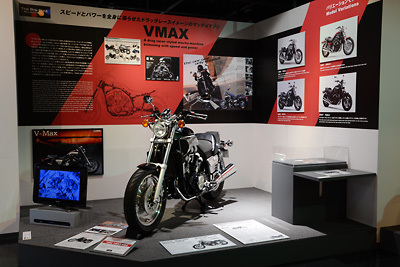 By releasing all kinds of highly original products, Yamaha expanded the market for motorcycles and continued striving to offer a more fulfilling motorcycling lifestyle to people all over the world. 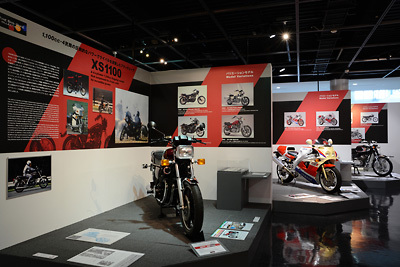 Among its many motorcycles, the big-displacement models that hold the highest status are the centerpiece of this exhibition, and we display them in line with the three themes of “high performance models,” “distinctive models” and “cruisers & tourers.” We introduce products representative of each of these themes while touching on the background to their release and model variations. 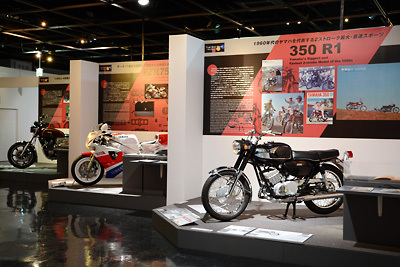 Throughout Yamaha Motor’s 60 years of motorcycle history, there have been numerous big-bikes that stood out as stars of their respective eras. 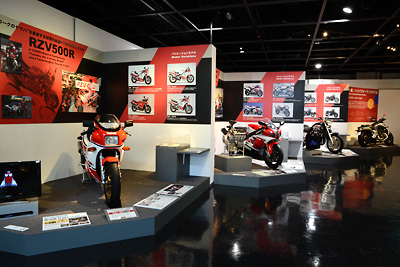 For this first collection of models, we have gathered together the high-performance sport bikes that employed cutting-edge technologies for their time, and captivated motorcycle fans with their amazing speed, power and presence.